We’re using the SmartCode 916 lock, specifically, which comes with a touch screen of sorts that hides the keys until you touch it. It can also connect to a smarthome hub via a Z-Wave or ZigBee connection. 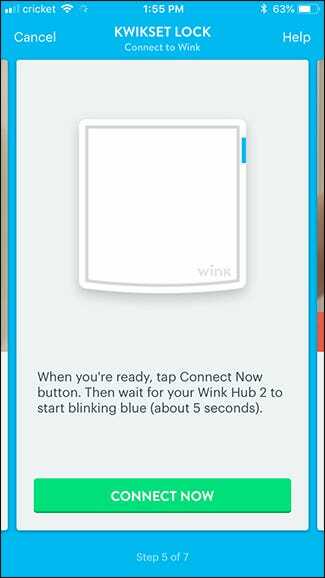 However, be aware that while Kwikset smart locks are compatible with the Wink hub, you’ll only be able to lock and unlock it from the Wink app and that’s it. 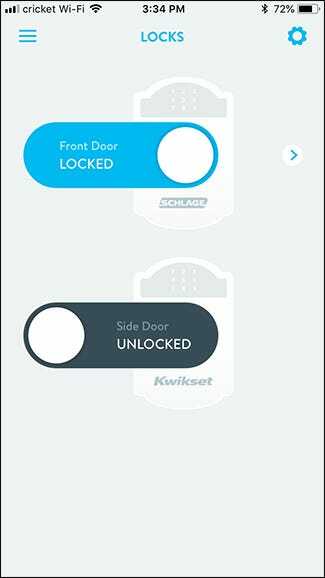 Other hubs also let you do things like manage user codes, but if you want something that will work completely with Wink, check out the Schlage Connect. In any case, let’s get started. The installation process is nearly identical across the whole SmartCode lineup. So no matter which one you have, you’ll be able to follow along just fine. First, you’ll need to remove the current deadbolt installed on your door. This usually just involves removing a couple of screws from the lock’s face plate on the inside of your home. After removing those screws, the entire deadbolt should come apart pretty easily. Just separate the outside and inside portions of the deadbolt to remove the whole thing from the door. You may have to slightly tap on it with a mallet to loosen it up if it doesn’t come off easily. Next, you’ll need to remove the latch. However, if your existing deadbolt is from Kwikset, you can use the existing latch and keep it installed, as it’s identical to the one that the smart lock comes with. If you do need to remove the existing latch, just remove the two screws holding it in place and pull it straight out. You now have a clean slate to install your new smart lock. Let’s get to the good part! To begin install the new door latch if you’re not using an existing one. Slide the latch into the door, making sure that the middle hole in the latch is centered within the hole in the door. If it’s not, remove the latch and rotate the mechanism 180 degrees (while holding onto the actual deadbolt) to change the position of the middle hole. Re-insert the latch, making sure the “UP” marking on the latch is facing up. Secure the latch to the door using the two short screws included with the kit. Starting on the inside of the door, place the lock by feeding the cable underneath the latch and inserting the turn rod through the middle latch hole. Make sure to line up the “D” shape of the rod in order to get it in. On the outside, place the mounting plate over the hole and feed the cable through it. Secure it to the rest of the lock using the two long bolts included in the kit. This should now hold the lock in place on your door. Next, separate the cover from the mechanism and remove the battery pack. Connect the cable from the keypad side of the lock to the mechanism and tuck any of the excess cable into the extra space inside. After that, install the mechanism onto the door, making sure to line it up with the turn rod so that it slides into the hole on the mechanism. Secure the mechanism to the door using the two small Phillips screws included in the kit and using the lower screw terminals on the sides. Next, insert four AA batteries into the battery pack and re-insert the battery pack into the mechanism. The lock will beep and the status light will light up. From there, the lock should actuate a couple of times and then beep again. If you see a checkmark light up on the keypad, then the installation was successful. If not, there was a problem with the installation—something may not be lined up in relation to the turn rod, or the deadbolt is blocked or getting caught on something. Once successful, install the cover on the mechanism using the two small hex screws and the included allen key. After installation, the lock is technically ready to go, but you need to add a user code if you want to unlock it using the keypad. You can do this by taking off the black interior cover piece and pressing the program button while the door is unlocked. Next, tap the checkmark on the keypad and then enter in the user code that you want to use, which must be between 4 and 8 digits. When done, tap on the lock button on the keypad. To activate the screen at any time (thus illuminating the keys), you can either press on it with your palm, touch the lower-left area, or tap on the screen with three or more fingers. SmartCode locks can be used without a smarthome hub, but the whole point of a smart lock is that you can control and manage the lock remotely from your phone, which is why it’s ideal to connect it to a smarthome hub. 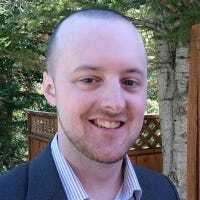 How you do this is completely dependent on what type of hub you have, but the process should be mostly the same all around. In my case, I’m going to connect the lock to my Wink hub. You’ll first need to open up your smarthome hub’s app and navigate to where you add a device to the hub to put it in search/discovery mode. Once that’s done, press the “A” button on the back of the smart lock. Wait a few seconds and the lock will connect to your hub. From there, you can manage and control the lock from the app. 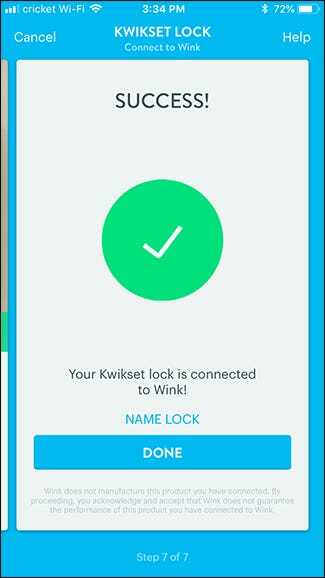 As mentioned at the beginning, Kwikset smart locks aren’t fully compatible with the Wink hub, and you can only lock or unlock it from the app.